More about the history of Vorwerk, Thermomix® in Singapore. Vorwerk & Co. KG was founded in Wuppertal in 1883. During the course of its 130 year history the company, originally a carpet manufacturer, has grown into a highly diversified, global corporate group. Vorwerk nevertheless remains a family enterprise to this day. Since 1930, Vorwerk’s core business has been the direct selling of high-quality products. The Vorwerk product range includes household appliances (the Kobold vacuum cleaner and the Thermomix® kitchen appliance) and the first-class JAFRA cosmetics. The akf banking group, the Vorwerk carpet factories and the HECTAS Group as an associate company all belong to the Vorwerk entrepreneurial family. Each division within the group shares the common goals of producing superior products combined with a total commitment to customer service. It is this ethos that makes Vorwerk so special. Vorwerk Engineering regularly brings highly innovative, new household appliances to market maturity. There are over 120 people on the Research and Development team, constantly working on new ideas of exceptional innovative strength, as witnessed by the large number of patents they have earned. For the Thermomix ® TM5 alone, patents were filed for 151 inventions. These premium Vorwerk products are manufactured at the company’s own production facilities in Wuppertal, Germany; Cloyes, France; and Shanghai, China. The Future of Cooking Pte. Ltd., is a company founded on the philosophy of making people’s life better. The Future of Cooking Pte Ltd. is the exclusive partner of Vorwerk International. 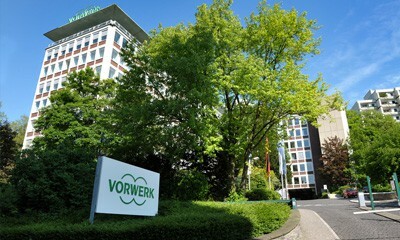 Founded in Germany in 1883, Vorwerk International has over 127 years of successful history, operating in more than 60 countries, providing earning and career opportunities to over 500,000 sales advisors worldwide and has group annual sales turnover of over 2.3 billion Euro or the equivalent of SGD3.5 billion.